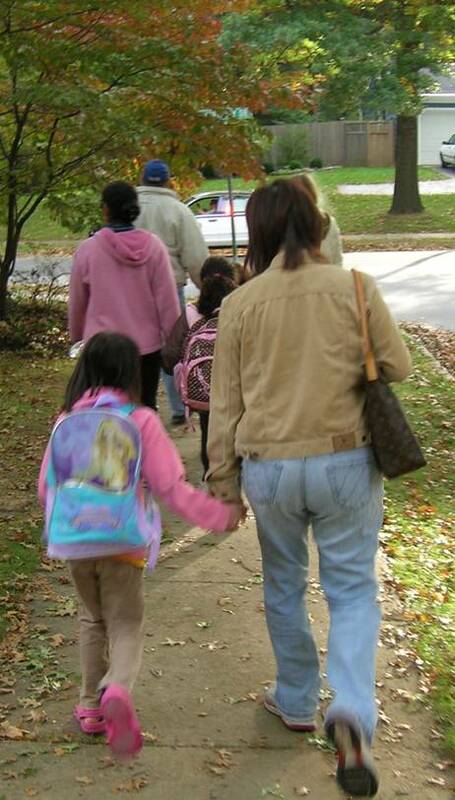 October is International Walk to School month. This year, International Walk to School Day (iWalk), held on October 5, was celebrated at over 3,500 events at participating schools around the US. Walkers from the U.S. joined activities scheduled in 40 countries around the world. 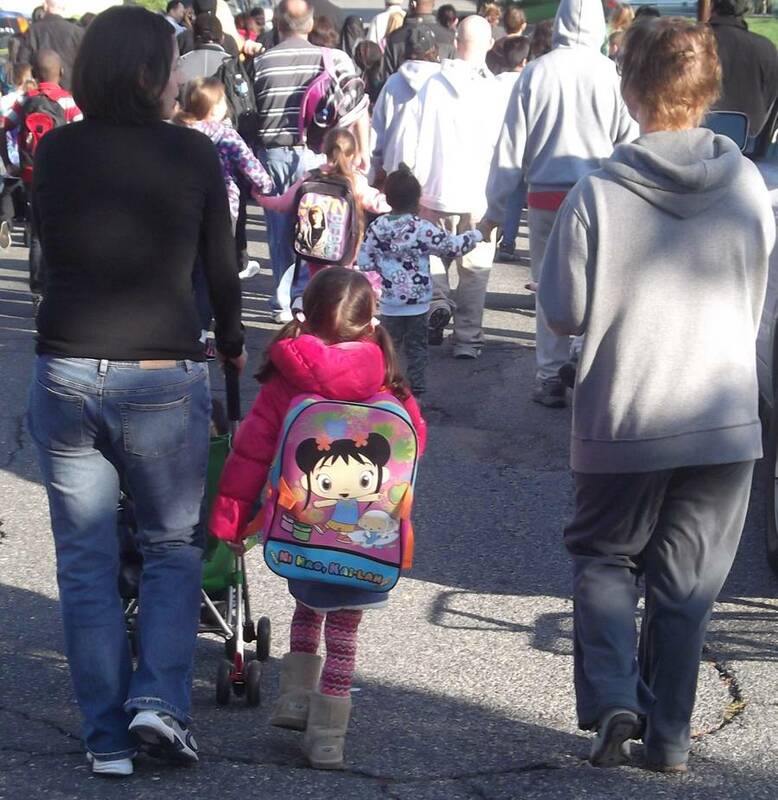 In New Jersey, 70 events were registered on the National Center for Safe Routes to School’s International Walk to School Day website, http://www.walktoschool.org. Students at Newark’s Hawthorne Avenue School celebrated International Walk to School Day by meeting up with UMDNJ Trauma Center staff, Newark Police officers, public health students from Montclair State University and University Hospital EMS staff to learn about and practice safe street crossing behavior as they walked to school. Once they got to school, the Essex County Safe Kids Coordinator, Iesha Suber conducted student assemblies by grade level (K-5). 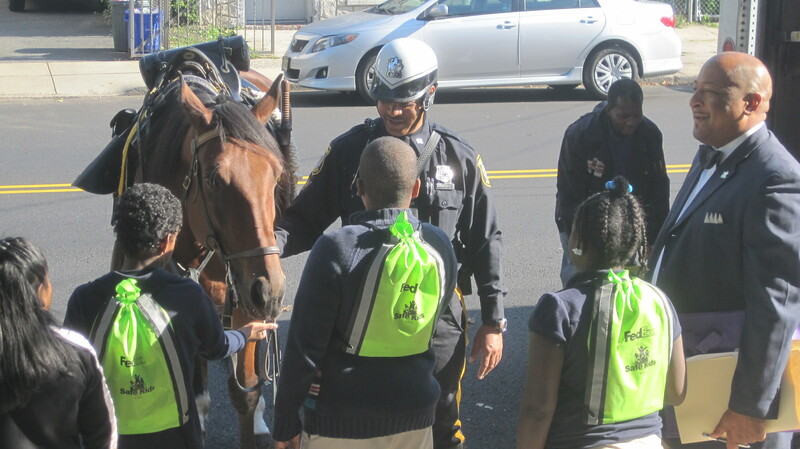 Following each pedestrian safety assembly, students toured an ambulance and FedEx truck and got to meet and pet police horses from the mounted patrol. For the past 4 years, Bike&Walk Montclairhas worked closely with the Montclair Public Schools Health & Wellness Partnership and Montclair YMCA to institute Walk & Bike to School Day in the public schools. Montclair also celebrates Crossing Guard Appreciation Day to coincide with walk and bike to school month events. This year, Montclair focused on celebrating how walking and bicycling to school helps us to make healthy choices easier. 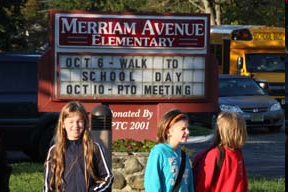 Students at schools throughout Montclair were encouraged to walk, bike, or scooter from home, from a friend’s house, or a park; or to create a walking school bus or a bike train with some friends. Additionally, students thanked their crossing guards as part of Montclair’s 4th Annual Crossing Guard Appreciation Day. 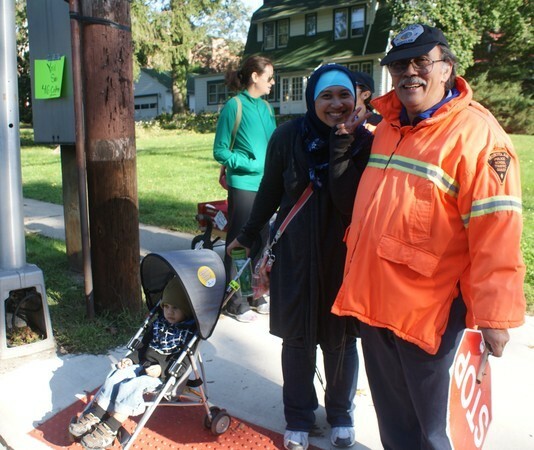 Bike&Walk Montclair recognizes crossing guards as a key ingredient to safe streets for Montclair’s students. Students and parents were encouraged to show their appreciation for their crossing guard’s dedication with a card, a hug, or a smile. With assistance and encouragement from HART Commuter Information Services, instead of being driven to school in a car or school bus, students at Califon Public School, Milford Public School, Lambertville Public School, Lebanon Borough School, participated in “walking school buses”- a designated walking route chaperoned by a group of parents, faculty, or other adult volunteers to celebrate International Walk to School Day. Frenchtown Elementary School will celebrate iWalk by starting their walking school bus program. Two additional schools, Reading Fleming Intermediate School and Stockton Public School celebrated iWalk by kicking off their walk and bicycle encouragement programs, which include frequent walker programs and bicycle and pedestrian safety education. Students at Whitney M Young Jr. Elementary School in Jersey City helped to celebrate International Walk to School Day by walking to school together and wearing yellow. 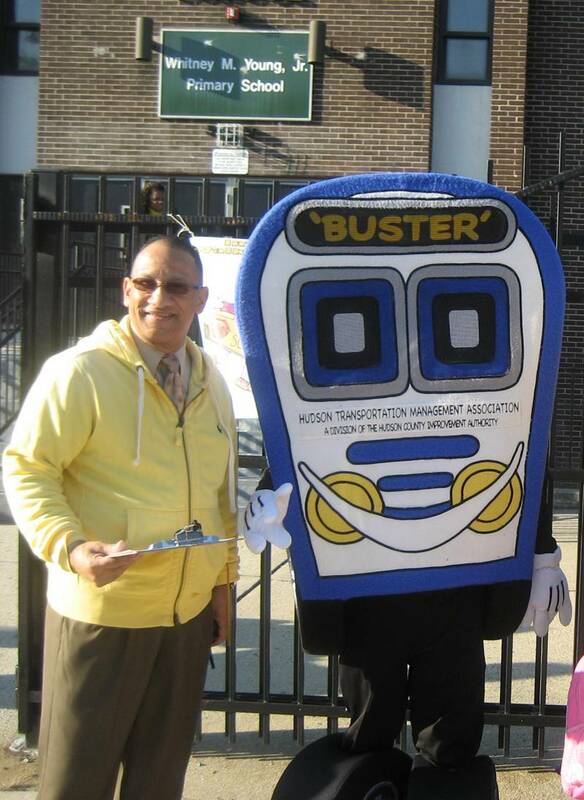 Staff from Hudson Transportation Management Association were on hand to join in the fun; arranging for a special appearance by “Buster,” the Walking School Bus Mascot. While the students had their pictures taken with “Buster,” their parents who walked with them enjoyed coffee and conversation. In Jersey City, walking to School is truly fun for the whole family. 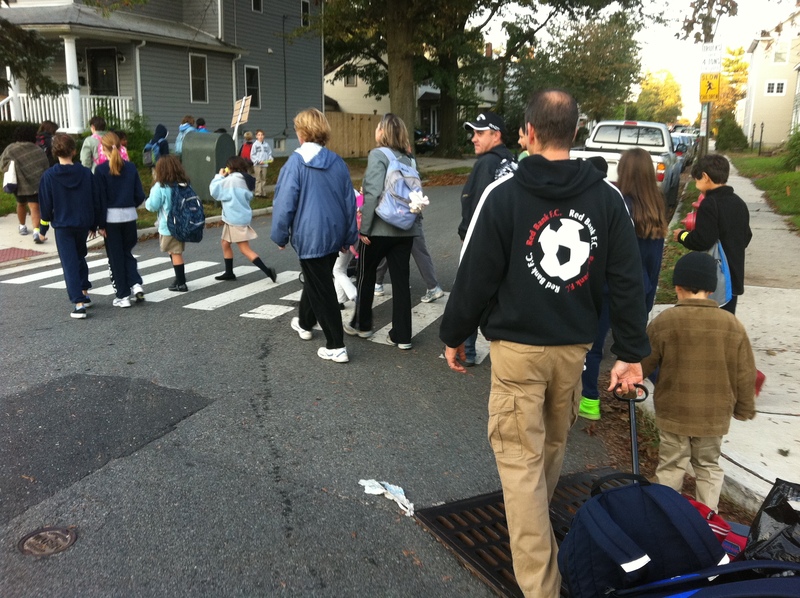 With help and promotional support from Cross County Connection Transportation Management Association, approximately 500 students from the Tatem Elementary School walked to school on Wednesday, October 5. Joined by local police, Haddonfield New Jersey Borough officials and “Blooper,” the mascot of the Camden Riversharks, students, parents and teachers witnessed first hand the impact such a campaign can have on local traffic congestion. There was none. Virtually every Tatem student walked to school that day! Keep Middlesex Moving Transportation Management Association (KMM) was excited to once again promote Walk to School Day in Middlesex County. 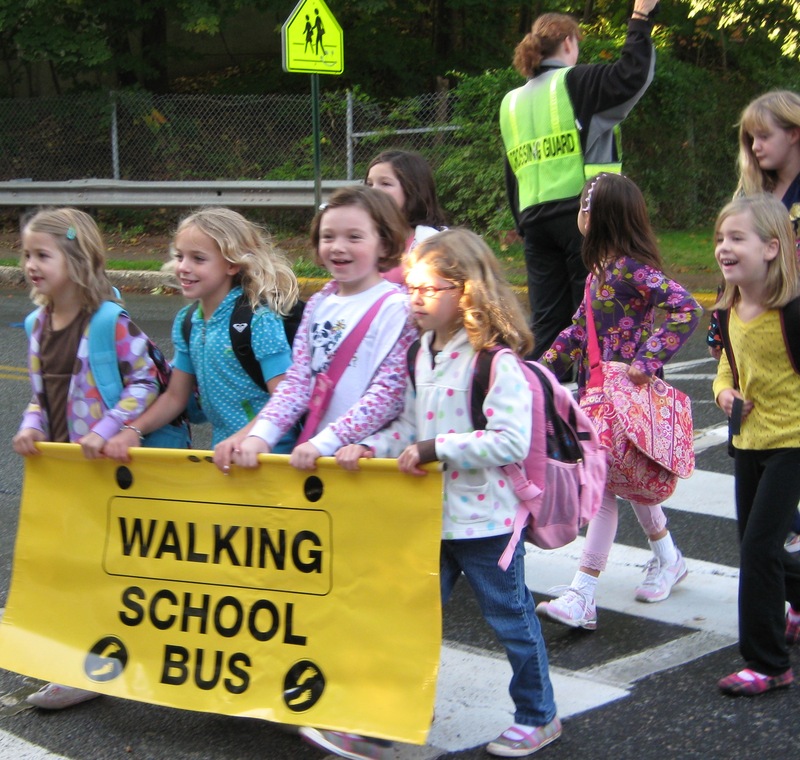 Working with police departments, schools, municipalities, and Safe Kids Middlesex County, KMM distributed educational and promotional materials to 14 schools in nine communities holding Walk to School Day events. In addition, KMM staff cheered on the students at events on October 5th and 6th in Woodbridge, Spotswood, and Jamesburg. In Woodbridge, parents and students from the Menlo Park Terrace Elementary School celebrated International Walk Our Children to School Day with the Mayor. Everyone met in front of Mayor McCormac’s mother’s house and walked to school together; a fun and healthy way to start the day. Schools in Burlington City, Chesterfield and Delanco participated in International Walk Our Children to School Day on Wednesday. Walk Our Children to School Day fits in with the new health initiatives under way at the Samuel Smith School in Burlington City, where more whole grains and vegetables have been added to the cafeteria menu and “Wellness Wednesdays” draw both parents and preschool through second-grade students to the gym for extra activity once a week. The Chesterfield Elementary School’s new location in a master-planned community is particularly conducive to walking and biking, according to Ellen McHenry, principal and superintendent of the one-school district. 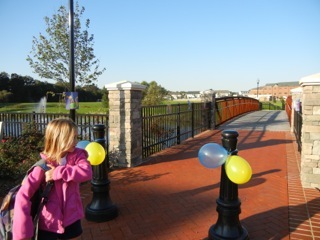 A footbridge connects the neighborhood to the rear of the school, which opened in January on Saddle Way and hosted two walk-to-school events on its own last spring. The entire student body was bused to the old school on Bordentown-Chesterfield Road, but now 320 of the 585 students live within the walking zone, and biking also has increased, McHenry said. 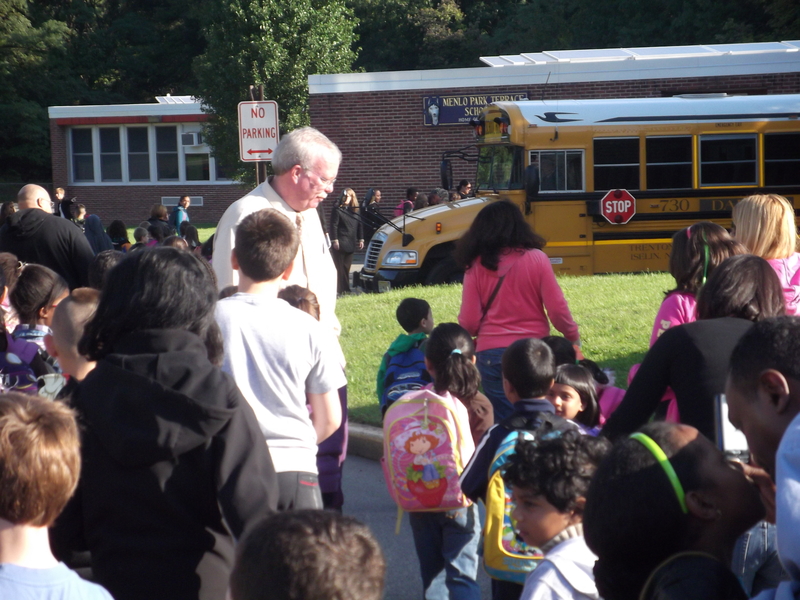 In Delanco, representatives from Safe Kids of Southern New Jersey led an assembly at the M. Joan Pearson Elementary School on Tuesday and assisted with Walk Our Children to School Day on Wednesday with volunteers from FedEx helping out along the route. Nearly 300 students in Chatham, Parsippany, and Newton students formed walking school buses by taking pre-planned routes to their schools under the guidance of parents, trained adult volunteers, law enforcement officials and representatives from TransOptions, the Transportation Management Association for northwestern New Jersey. Routes were created with meeting points and timetables where students gathered at predetermined points along the safest routes to their schools. “In addition to environmental, financial and physical benefits, the “walking school bus” fostered community interaction and safety habits,” commented John F. Ciaffone, TransOptions President. “It’s also gratifying to see future motorists learning about a healthy, sustainable, transportation alternative,” he added. The Red Bank Charter School partnered with Red Bank Safe Routes to promote safer walking and biking in Red Bank, NJ. Red Bank Safe Routes has begun forming a bike route in town and has provided Walking School Bus training to the school children and parents. The Walking School Bus has been growing over the past year at the Red Bank Charter School. Staff from Meadowlink Transportation Management Association were on hand to help celebrate and to continue to promote the walking school bus through the International Walk to School Day celebration.